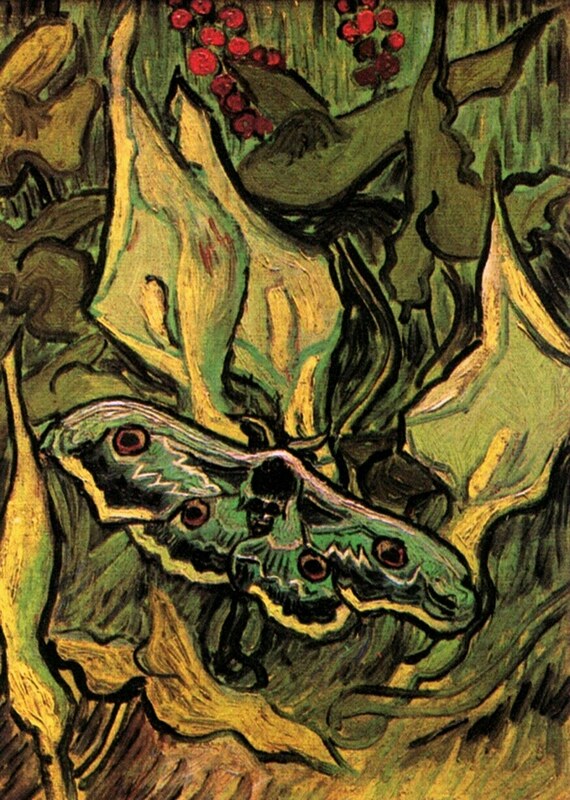 For Vincent Van Gogh, nature was the defining subject of his art. 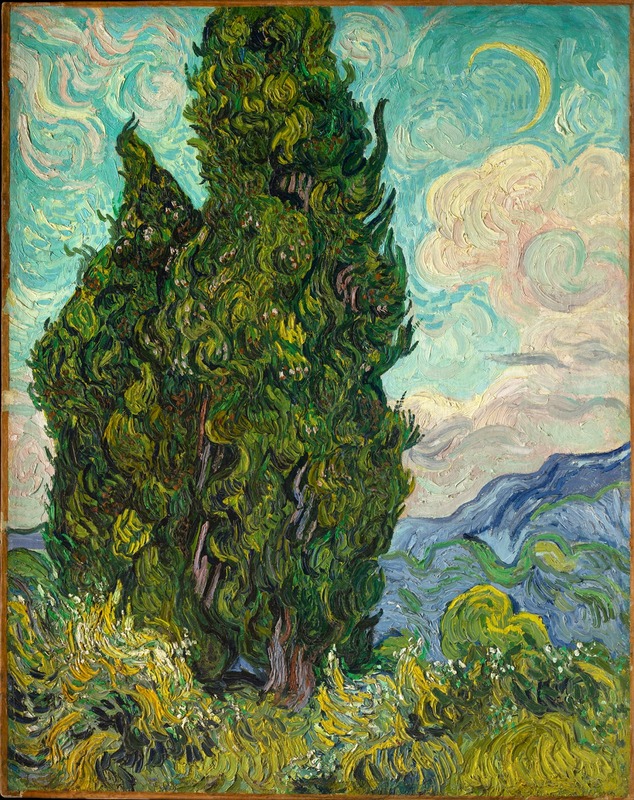 Over the course of his short but intense working life, Van Gogh studied and depicted nature in all its forms—from the minutia of insects and birds’ nests to the most sweeping of panoramic landscapes—creating a body of work that revolutionized the representation of the natural world at the end of the nineteenth century. 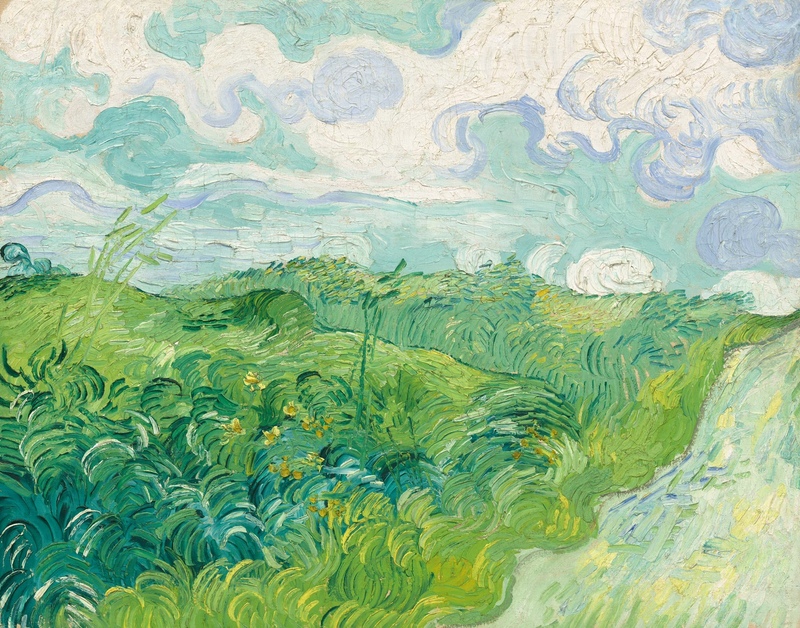 Opening on June 14, 2015 and shown exclusively at the Clark Art Institute, Van Gogh and Nature is the first exhibition devoted to the artist’s abiding exploration of nature in all its forms. 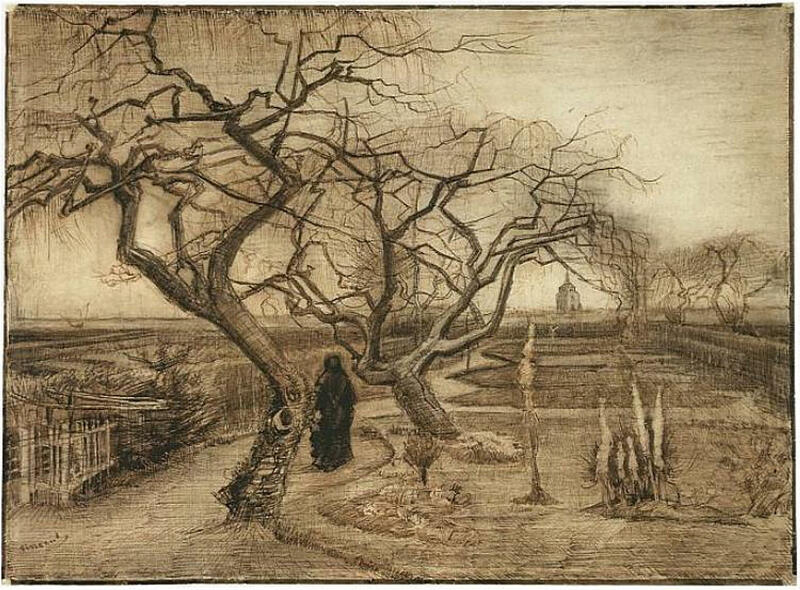 Van Gogh’s focus on nature was rooted in his love of the art of his time, both the landscapes created by Barbizon School artists and the highly-keyed, quickly brushed paintings of the Impressionists, but he brought a personal passion and subjective sensibility to his work that continues to enthrall art lovers to this day. Much of the artist’s adult life was devoted to drawing and painting the natural world, yet this fundamental aspect of his work has not previously been the focus of intense study. the exhibition focuses on Van Gogh the serious artist, not on the mythic “tortured painter” of film and fiction. Van Gogh is presented as a thoughtful and meticulous student of nature who found solace and personal fulfillment in studying and enjoying the natural world. Noted Van Gogh scholars Chris Stolwijk and Sjraar van Heugten joined Clark curator at large Richard Kendall as co-curators of the exhibition. A former curator at Amsterdam’s Van Gogh Museum, Stolwijk is the director of RKD/Netherlands Institute for Art History, while van Heugten, the former head of collections at the Van Gogh Museum, is now an independent curator. 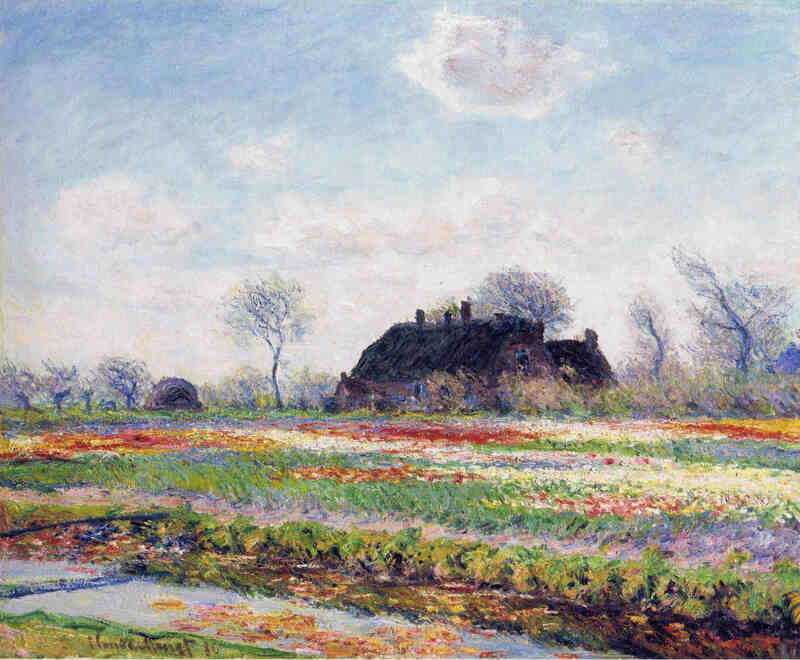 Works included in the exhibition are on loan from many of the most noted collections of the artist’s works, including the Van Gogh Museum, Amsterdam; the Kröller-Müller Museum, Otterlo; the Museé d’Orsay, Paris; the National Gallery, London; the Ny Carlsberg Glyptotek, Copenhagen; The Metropolitan Museum, New York; and the Museum of Modern Art, New York. reveals that many of these preoccupations were evident at an early stage. His travels to England, Belgium, and France brought new encounters with nature and a shift from the biblical perspectives of his youth to modern attitudes influenced by contemporary authors and expanding scientific knowledge. Late in his life, most notably while in Arles and Saint-Rémy, Van Gogh painted elemental landscapes in snow, wind, rain, and sunshine, while making incisive images of insects, leaves, and rocks that reflect his knowledge of museums and illustrated publications. sunlight barely reached through the gloom. In his letters of this time, Van Gogh cited such radical thinkers as Jules Michelet and Ernest Renan, while as an artist he explored the daring new approaches to color and landscape pioneered by George Seurat, Émile Bernard, and Henri de Toulouse-Lautrec. The most dramatic shift in Van Gogh’s engagement with nature undoubtedly occurred when he moved to Provence in 1888. Dandelions (1889, Kunstmuseum Winterthur) (above) exemplifies his close study of a subject that inspired a new kind of sustained attention to natural form. 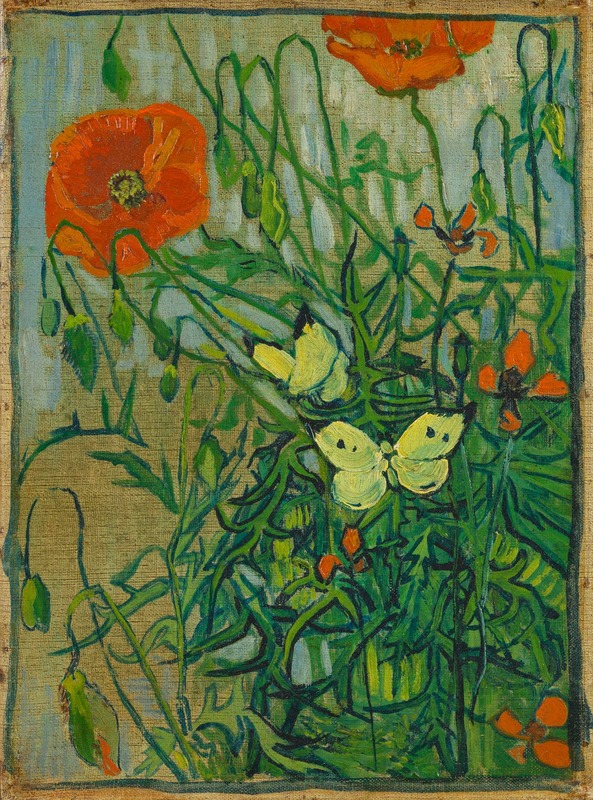 Little noticed until now are a number of drawings and other studies from this period that record Van Gogh’s scrutiny of individual flowers, insects, and birds, reminding us of his early education and his enquiring mind. At the other extreme, the artist often emphasized the dramatic rhythms of the landscape itself, in which fields and trees resonate in unison and entire hillsides seem animated. 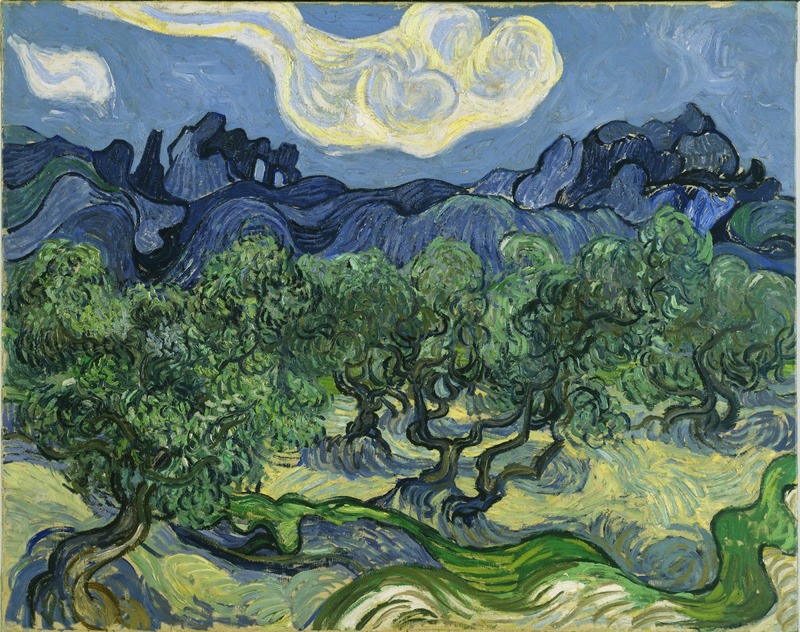 Olive Trees (1889, The Museum of Modern Art, New York), (above) depicting a mountainous landscape, is dominated by such rhythms, its “savage” qualities contrasted with the decadent character of Paris that Van Gogh commented upon in his writings. exclude almost every trace of human culture in favor of light, earth, and natural growth. 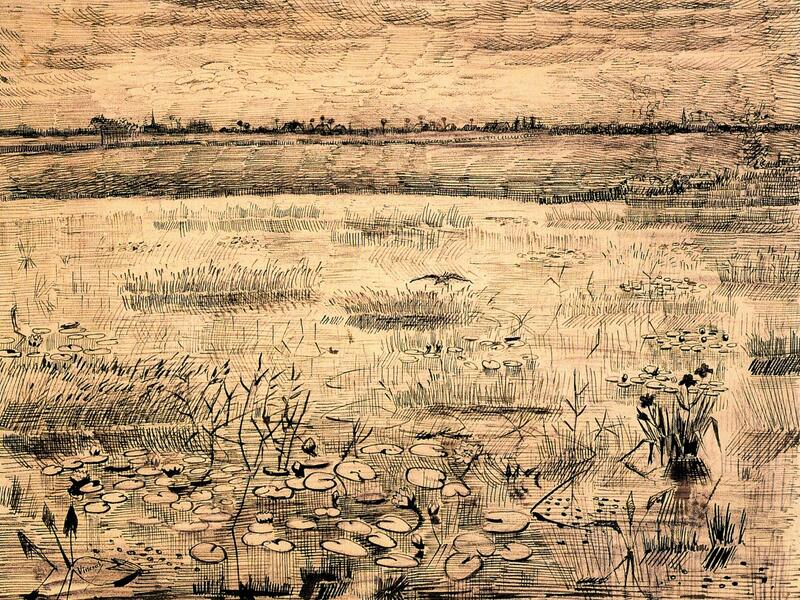 Painting outdoors every day in all types of weather conditions, Van Gogh’s ambition to create bold, authentic statements about the natural world seems to have been undiminished. 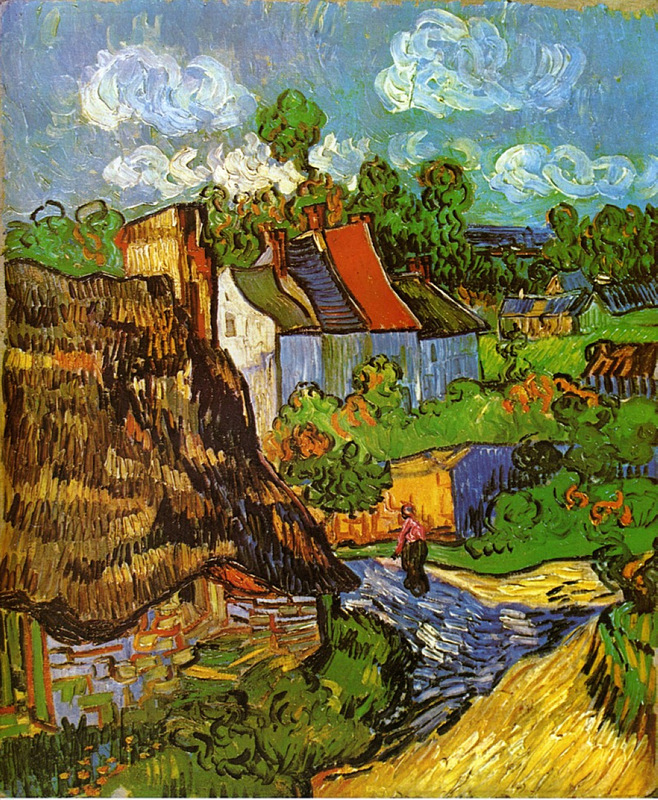 In Rain–Auvers (1890, National Museum of Wales, Cardiff)(above), one of several monumental “double square” canvases created in the last weeks before his death, the artist carried his experiments in the presence of nature further than ever, painting earth and sky and the elements themselves. Horikiri Iris Garden (Utagawa Hiroshige I, 1857) from the newly acquired Rodbell Family Collection. Also in the exhibition are the books La vie et l'oeuvre de J.F. 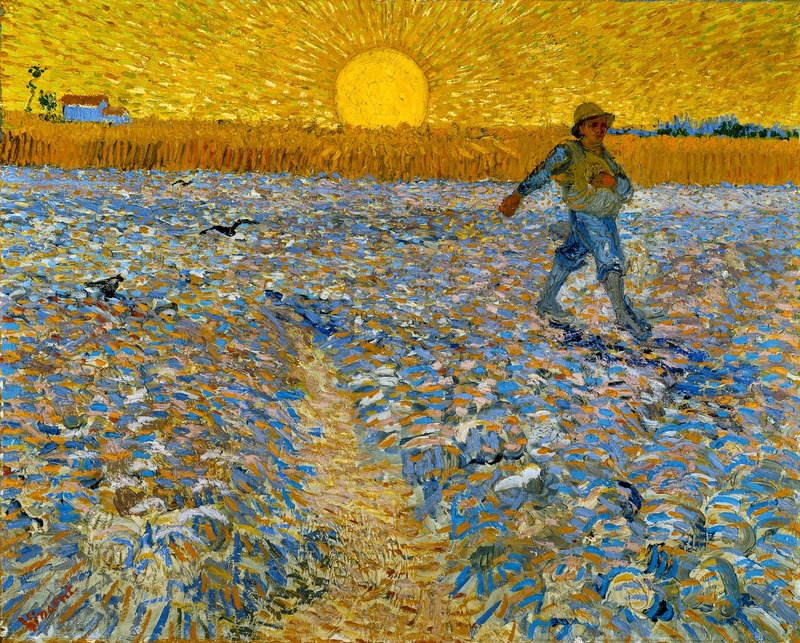 Millet by Alfred Sensier (a copy of which Van Gogh owned), and La nature chez elle by Theophile Gautier, which current research has revealed as a source for the artist’s early drawings, as well as copies of popular books that Van Gogh read and valued for their information about the natural world. Van Gogh and Nature is accompanied by a fully illustrated catalogue with essays by curators Richard Kendall, Chris Stolwijk, and Sjraar van Heugten. The catalogue is distributed by the Clark and Yale University Press.